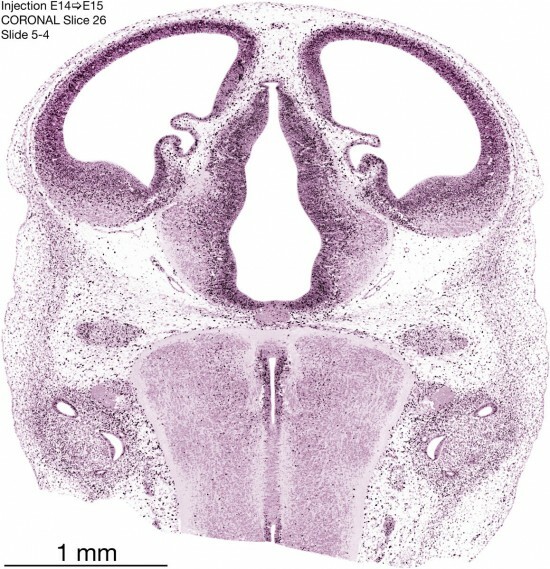 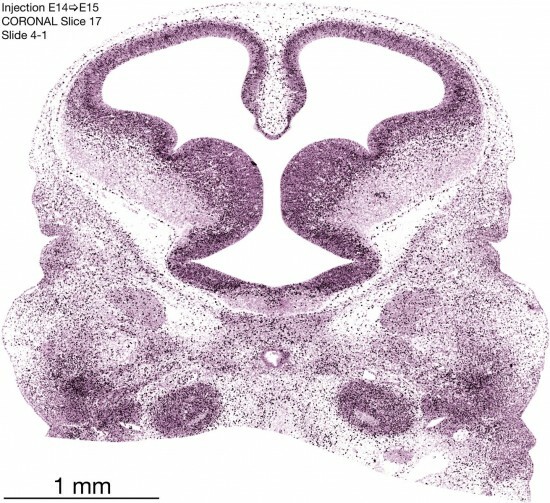 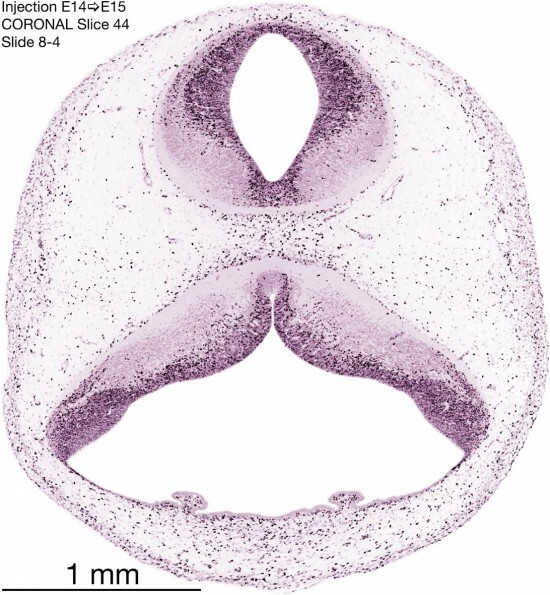 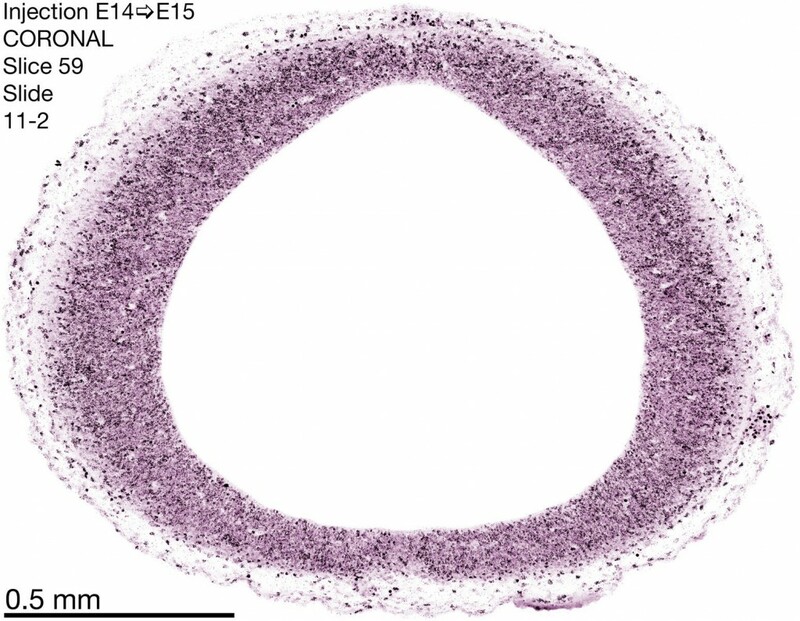 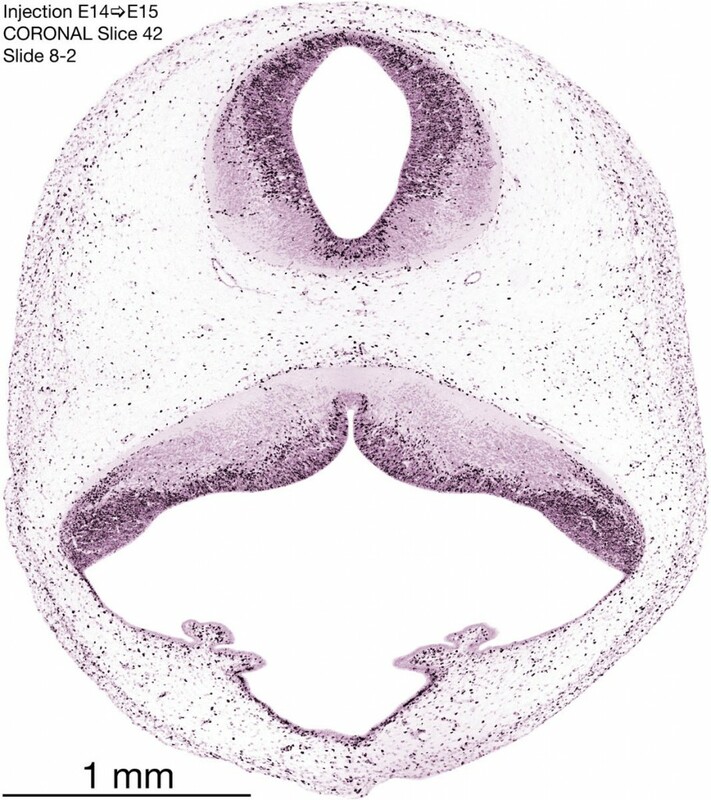 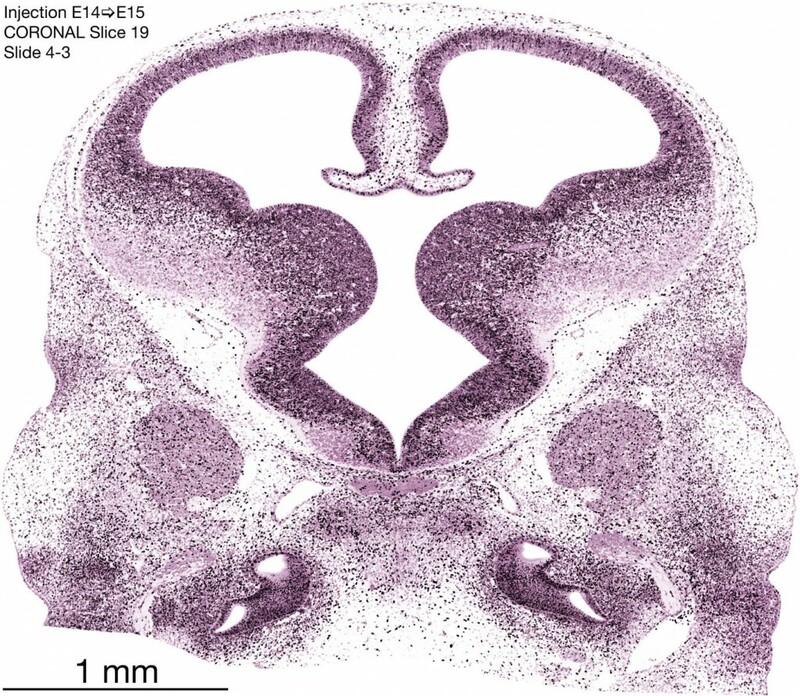 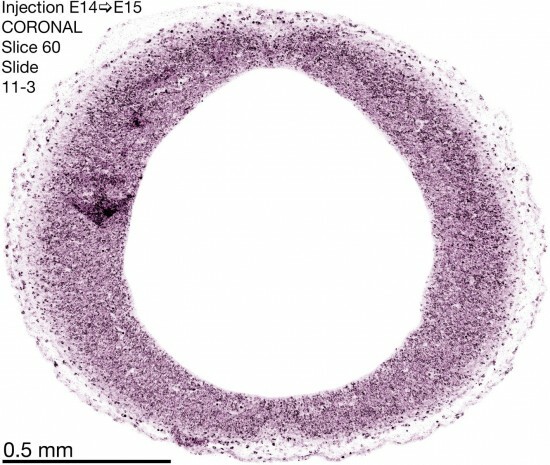 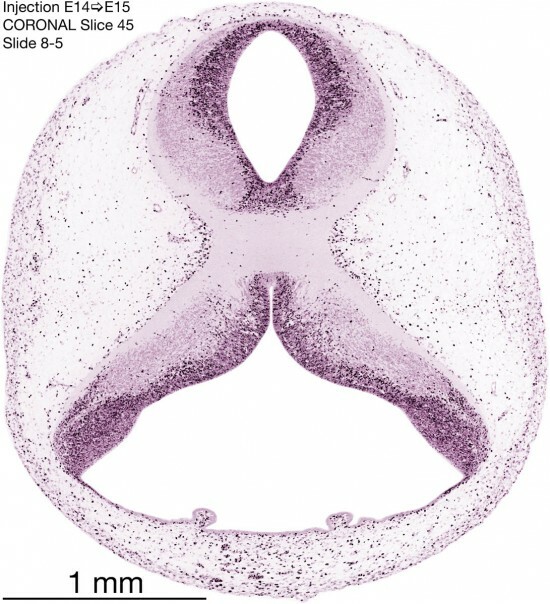 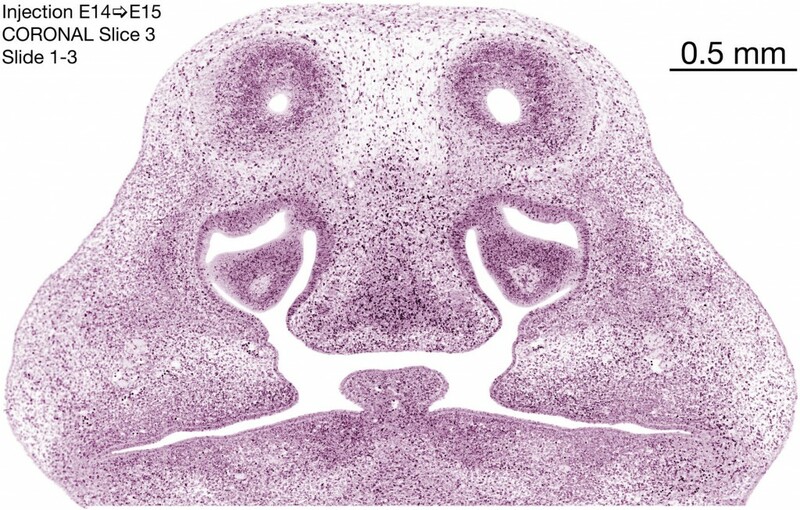 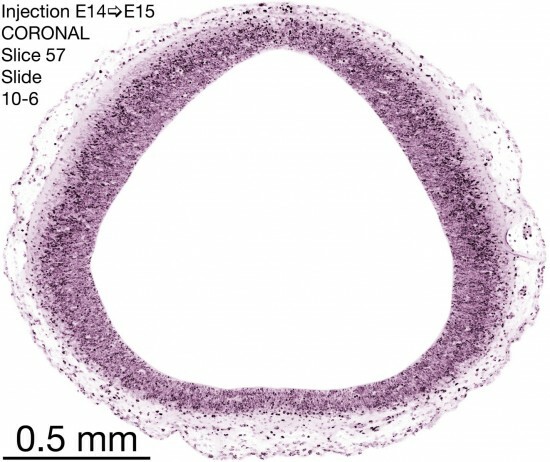 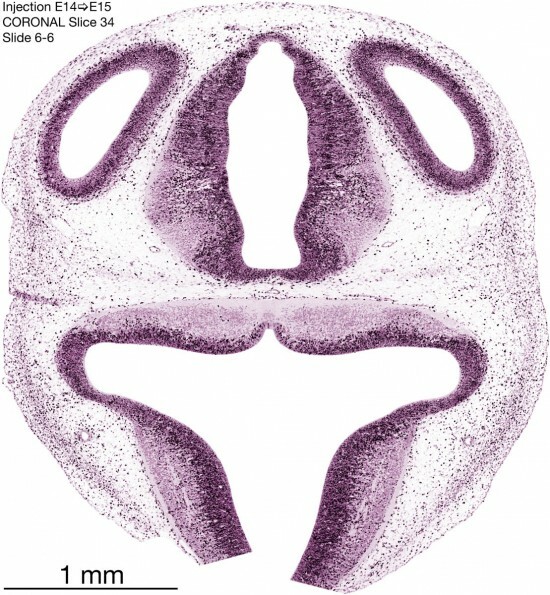 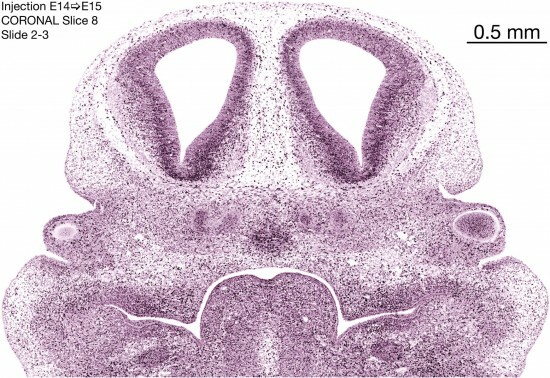 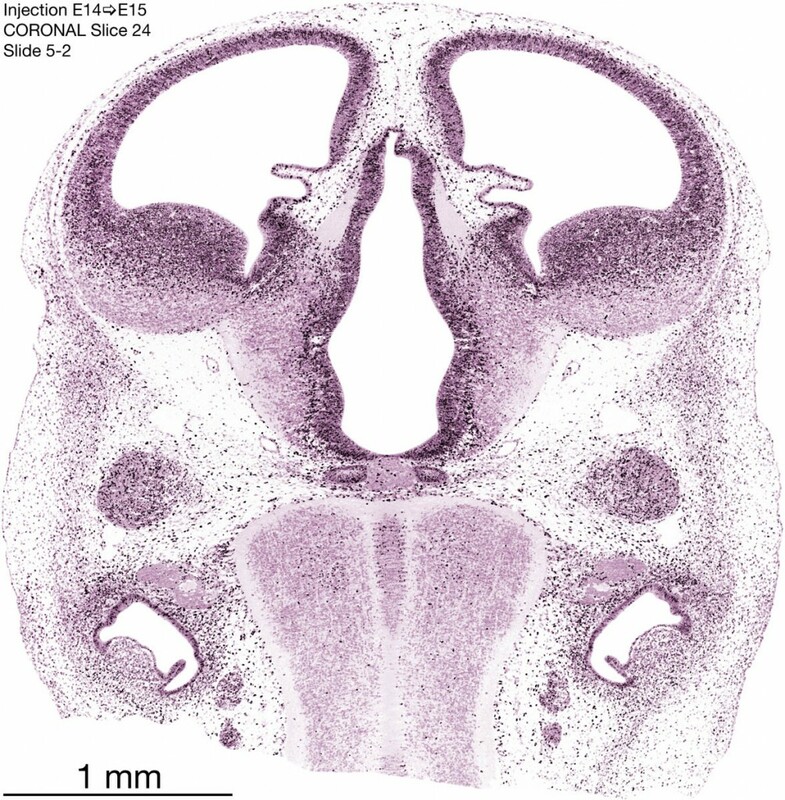 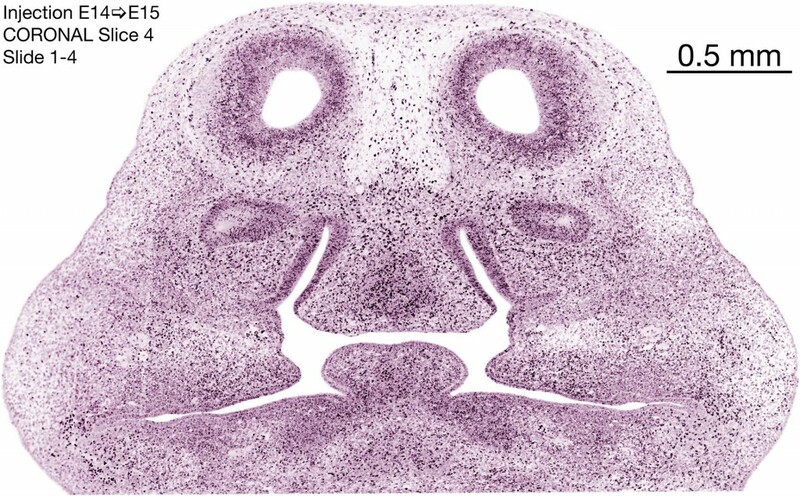 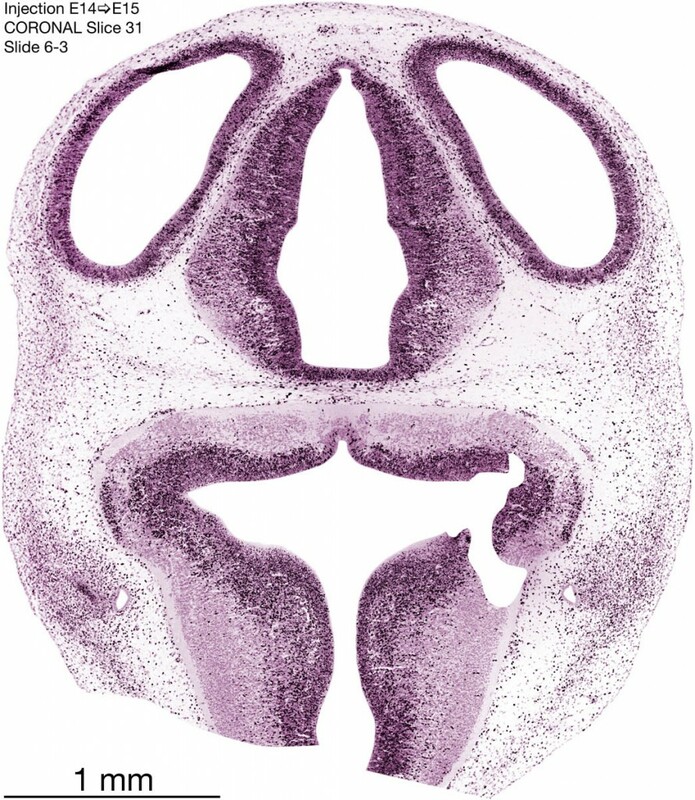 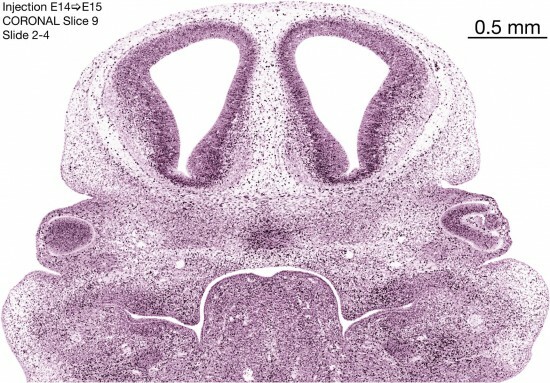 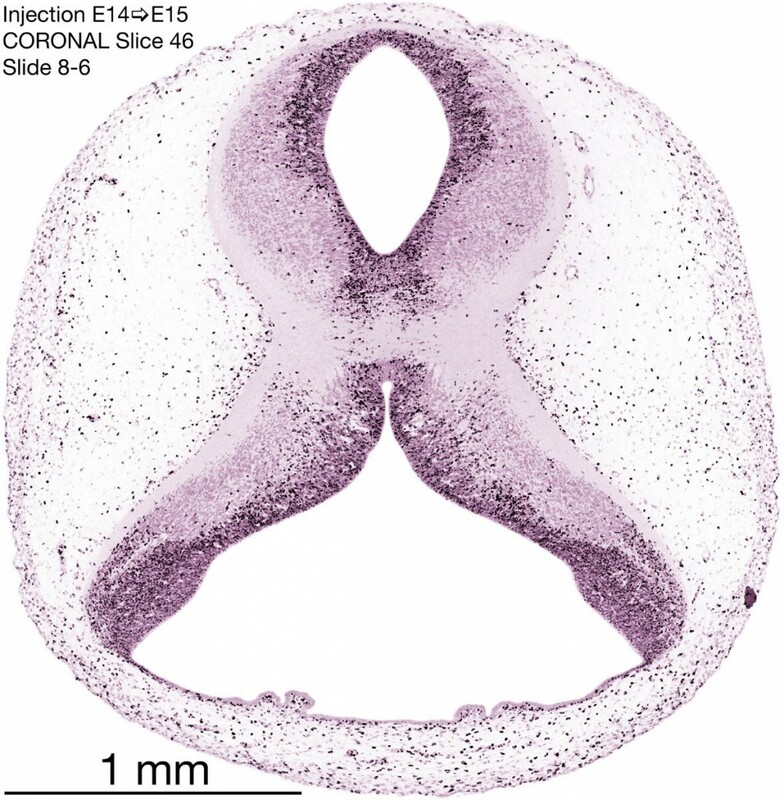 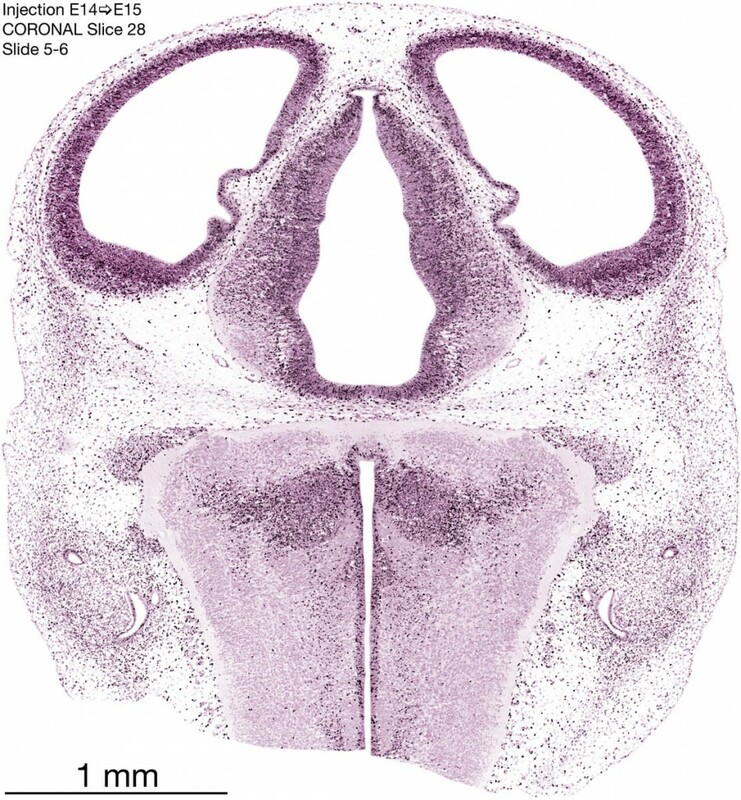 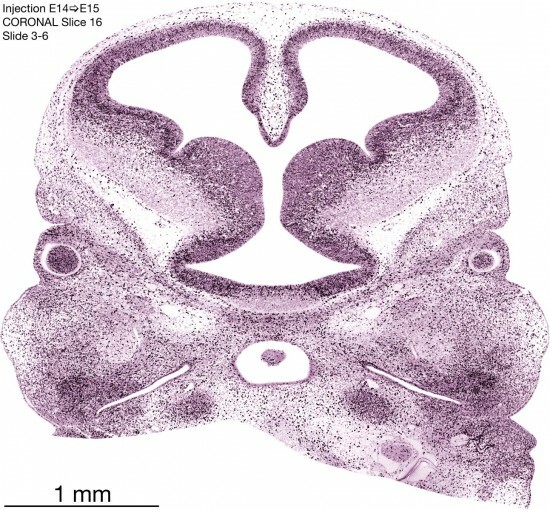 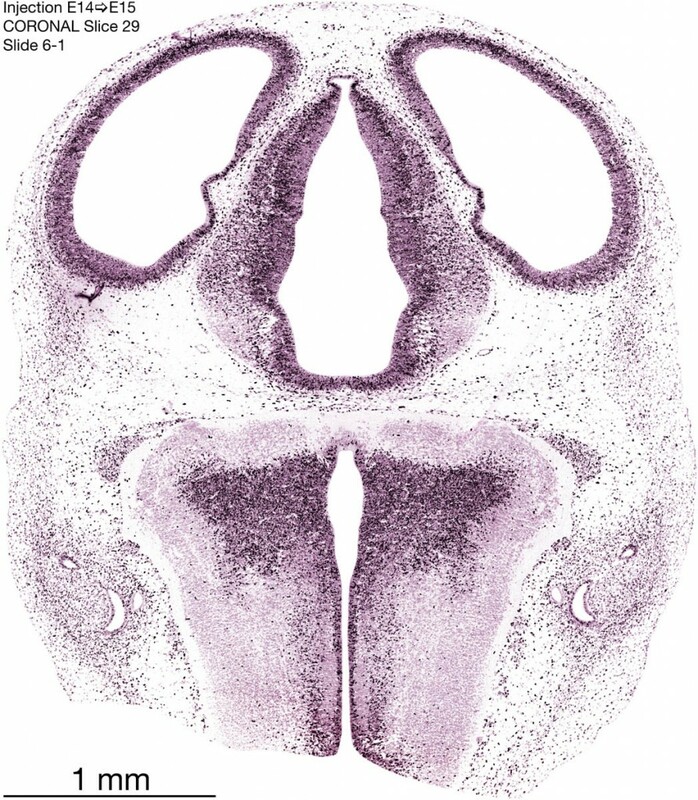 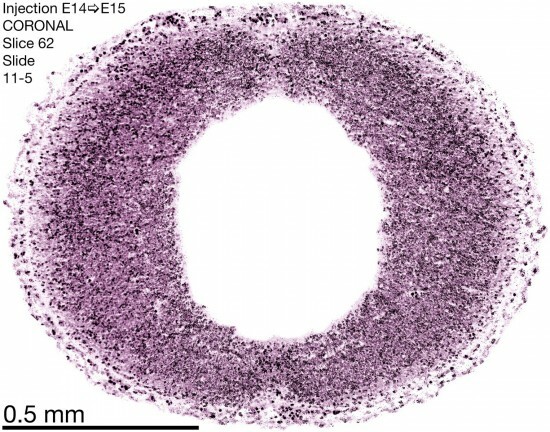 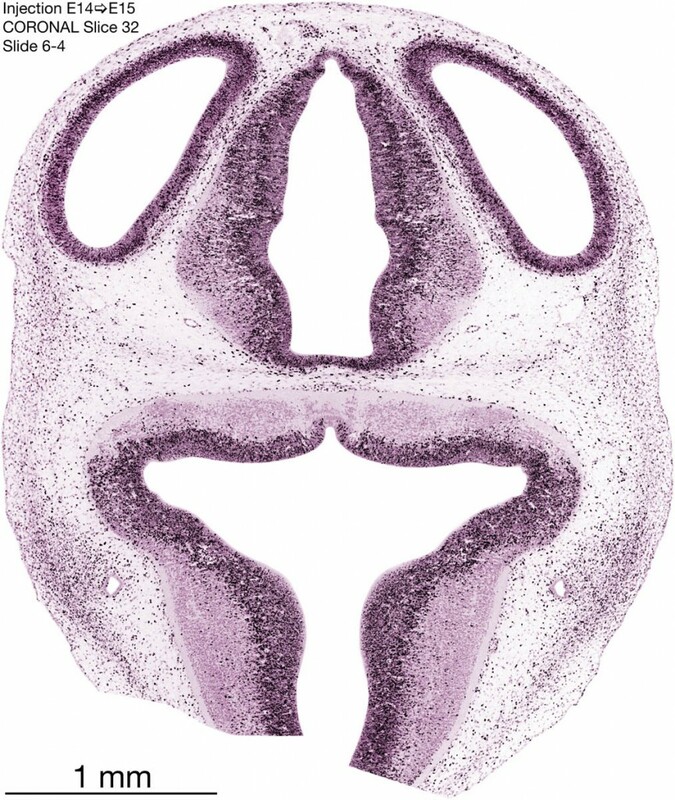 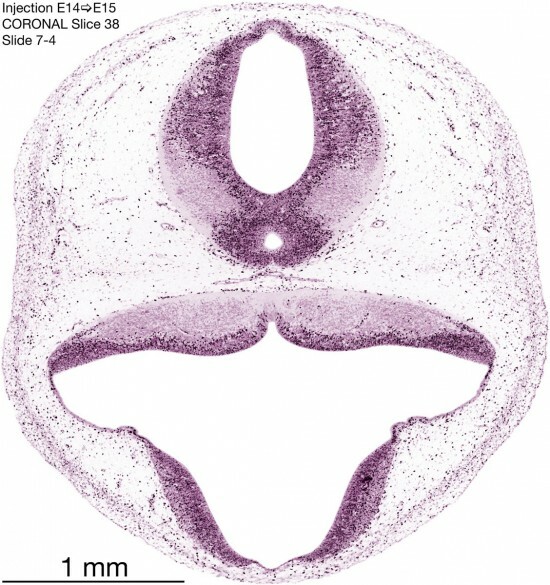 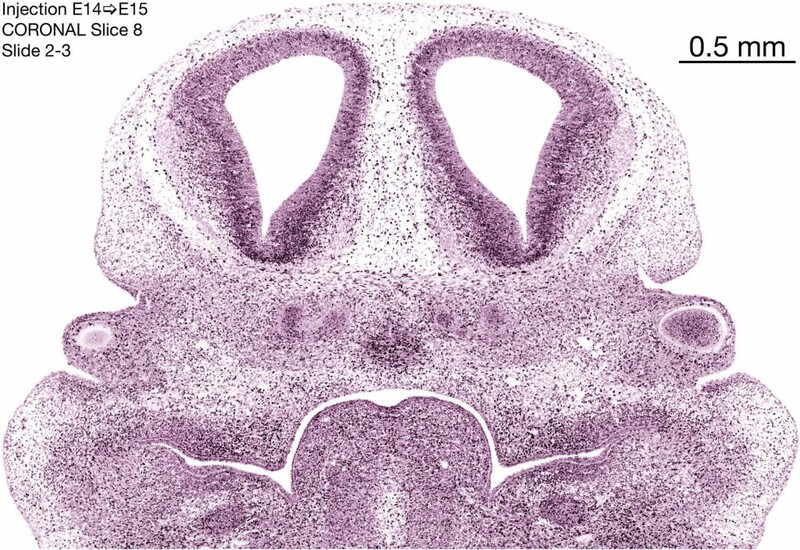 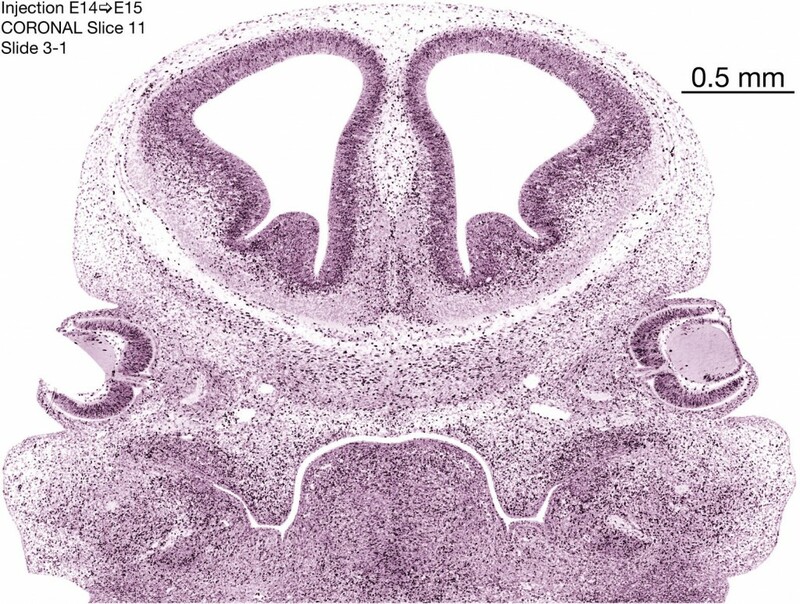 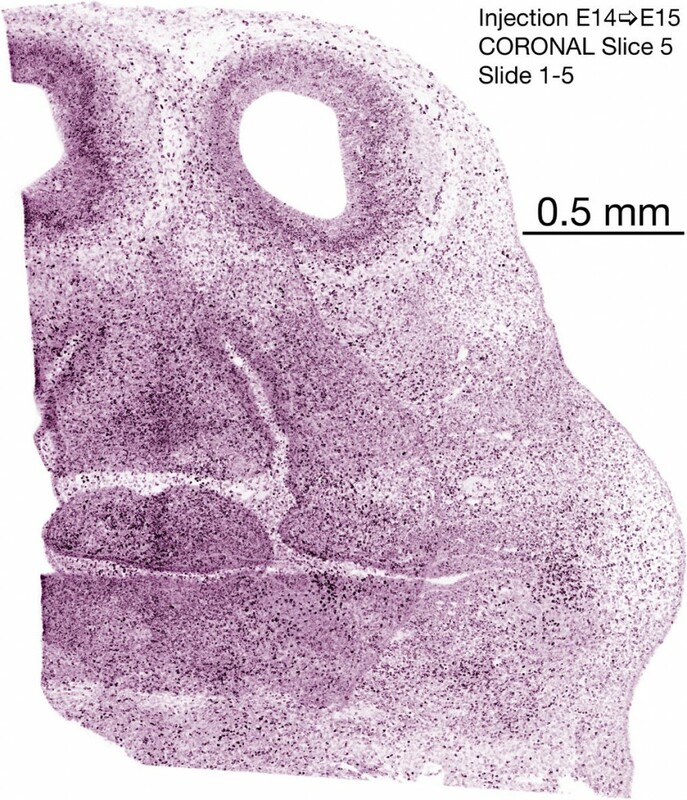 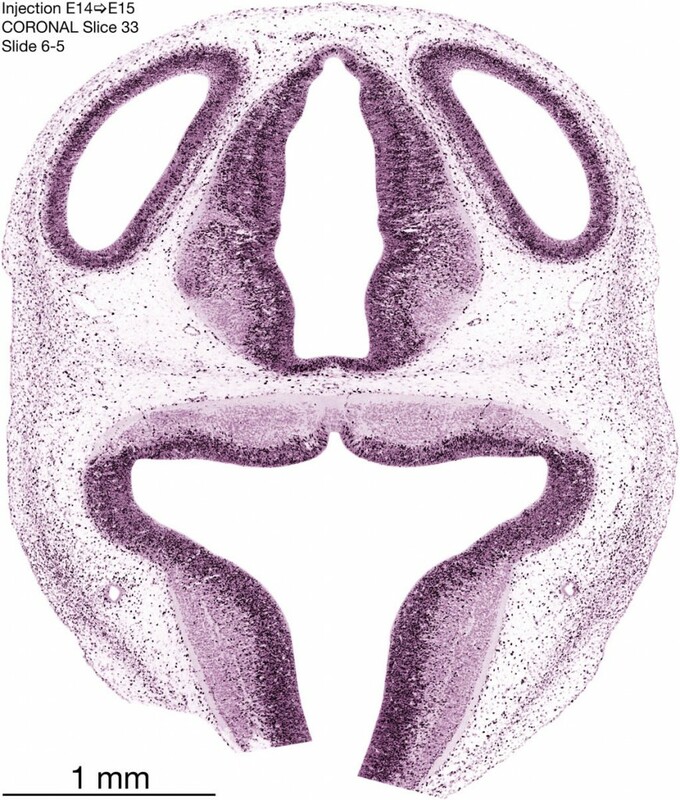 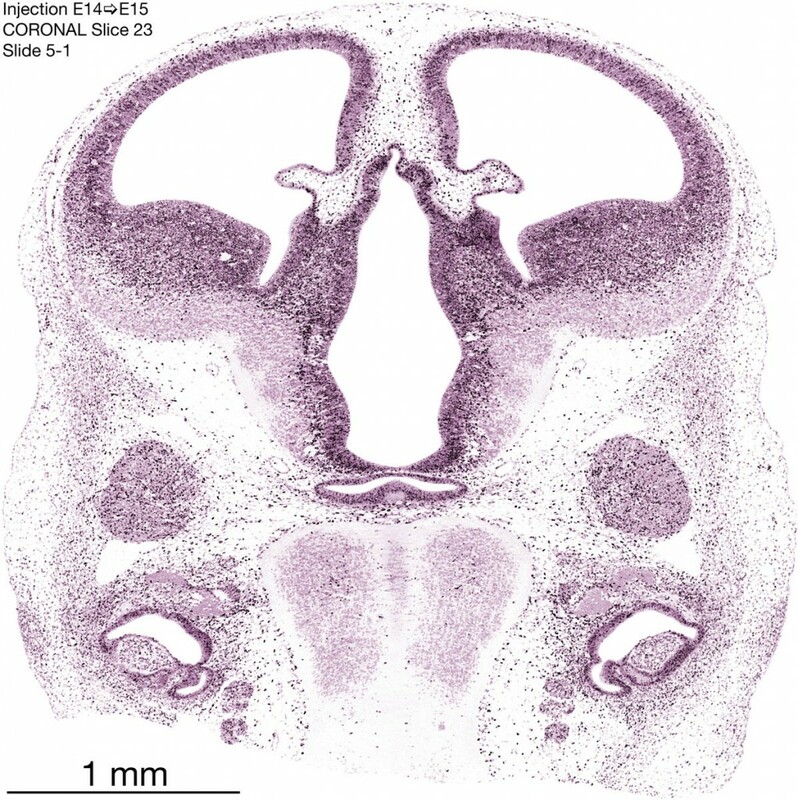 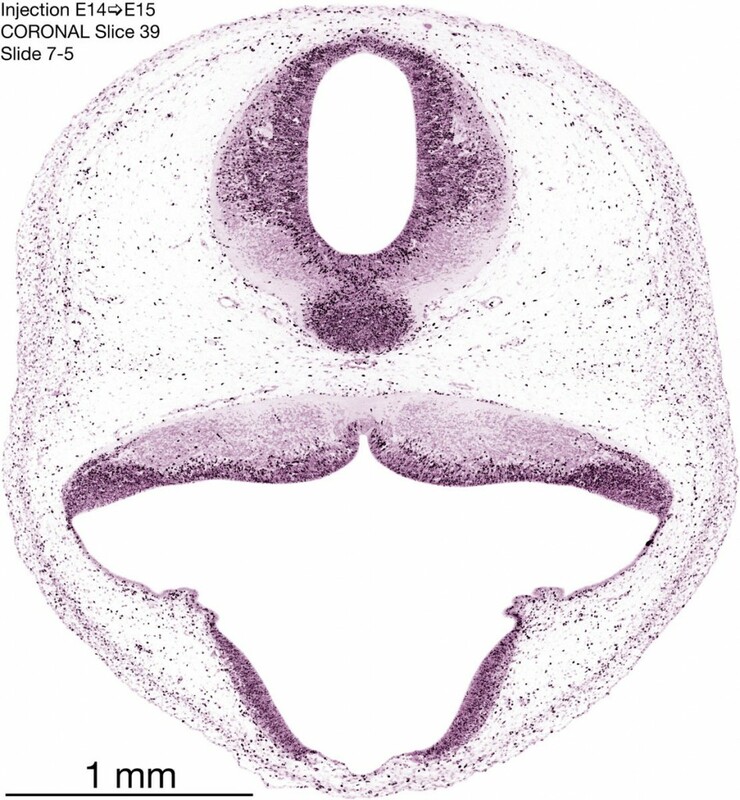 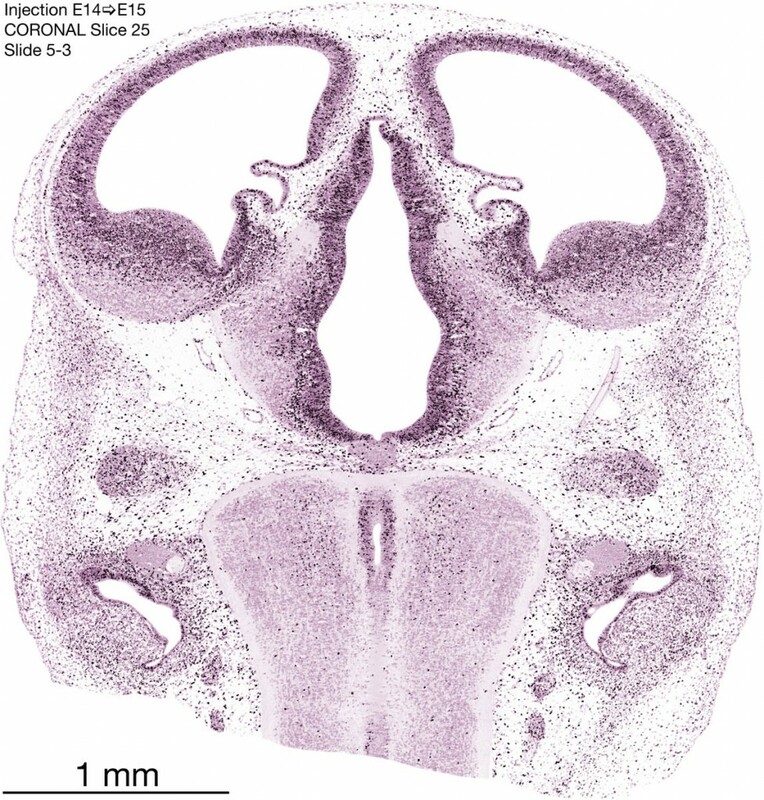 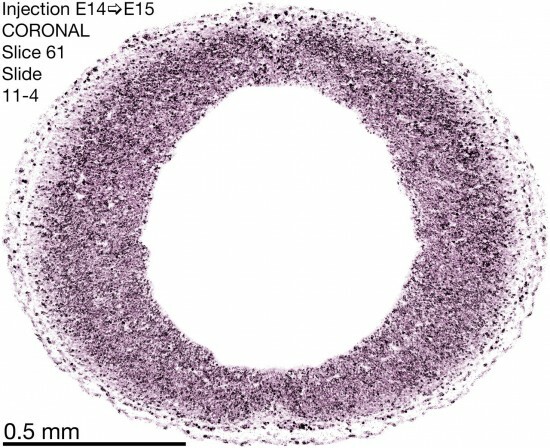 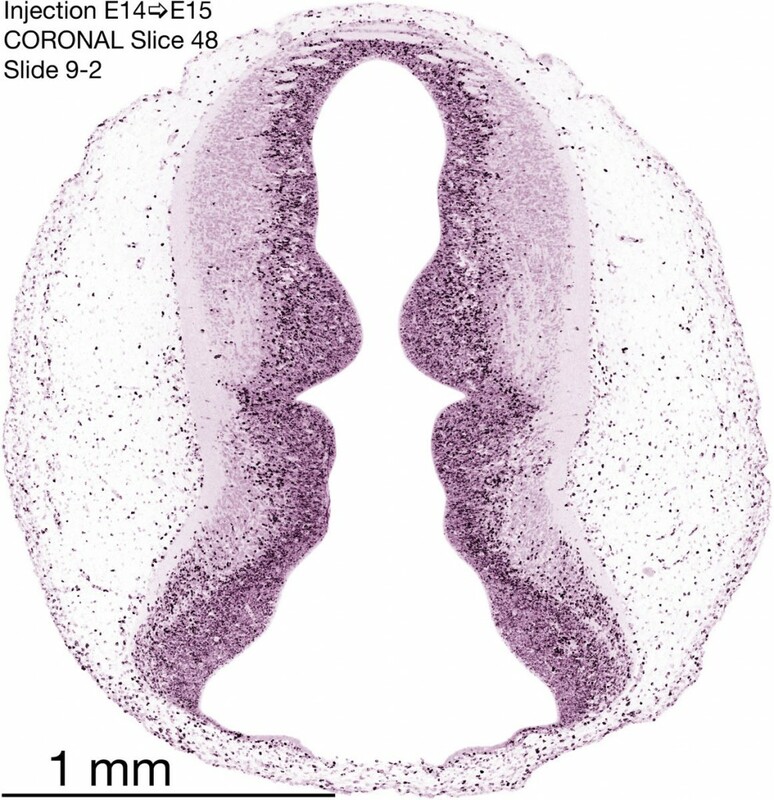 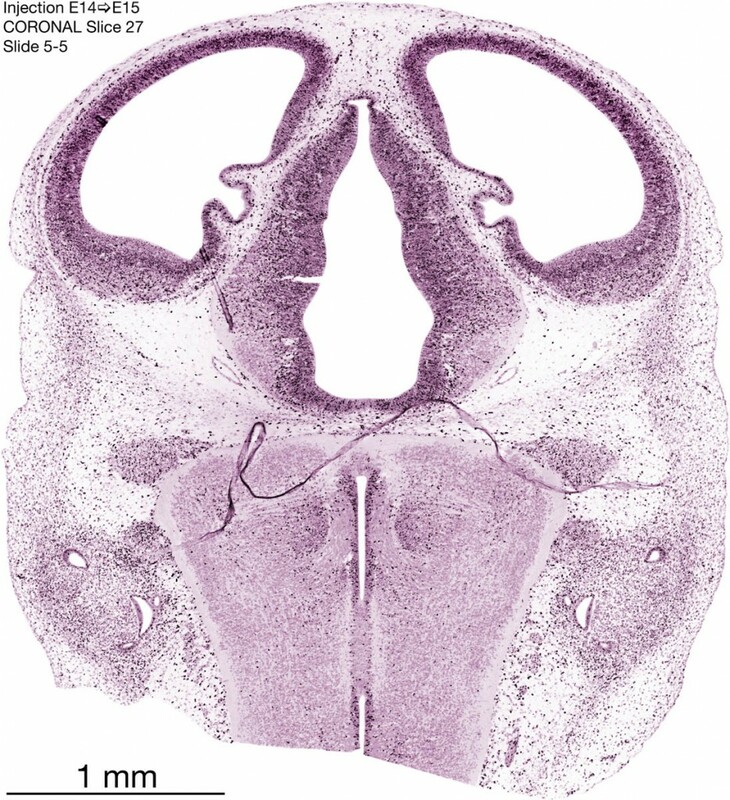 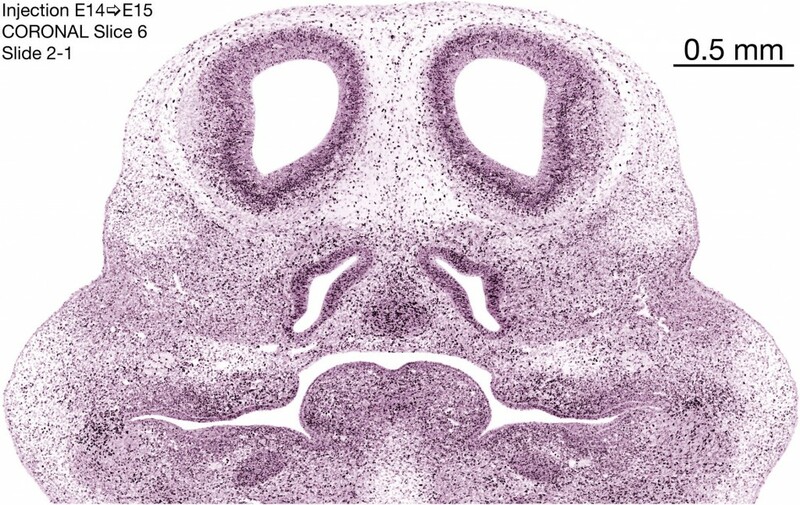 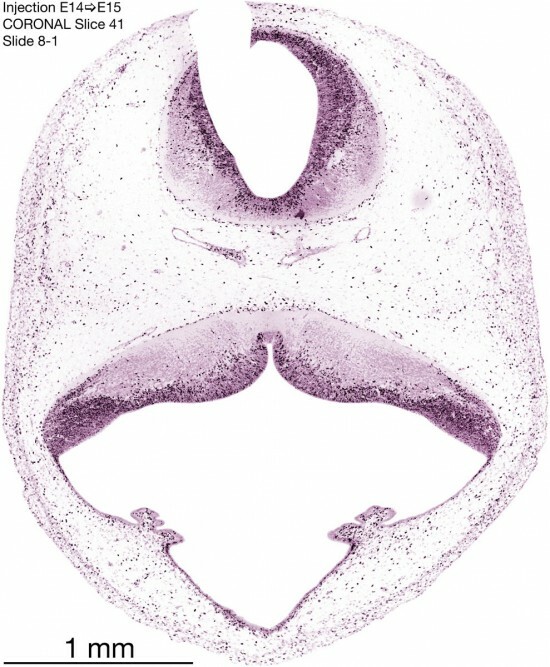 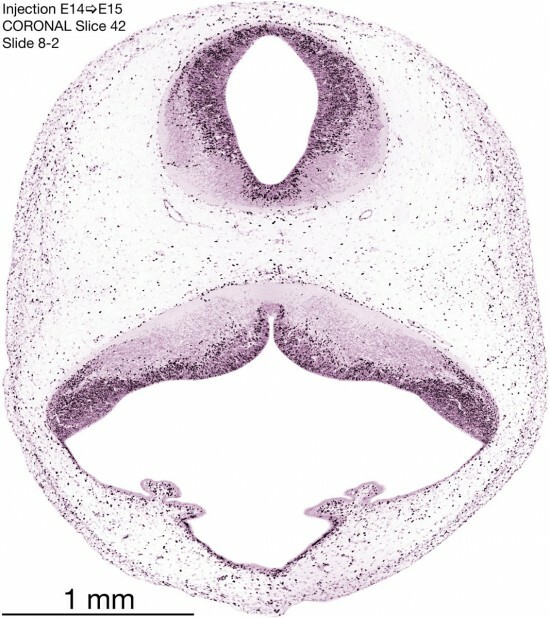 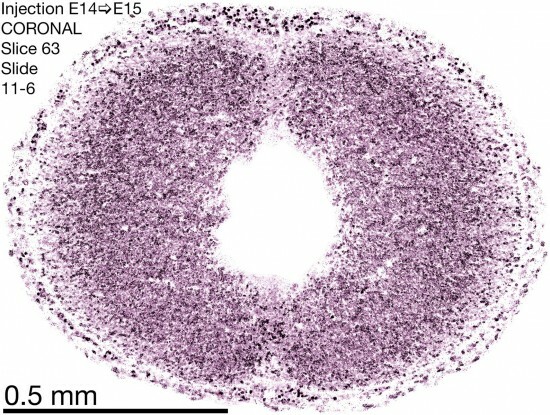 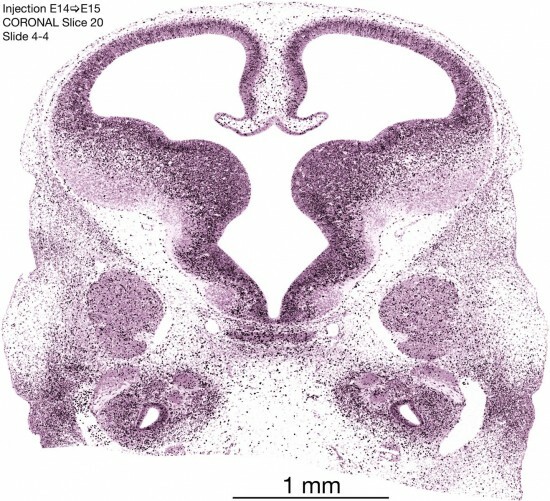 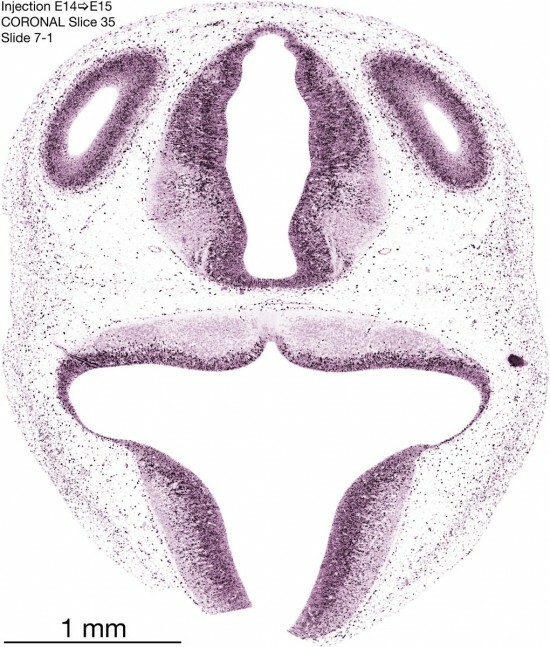 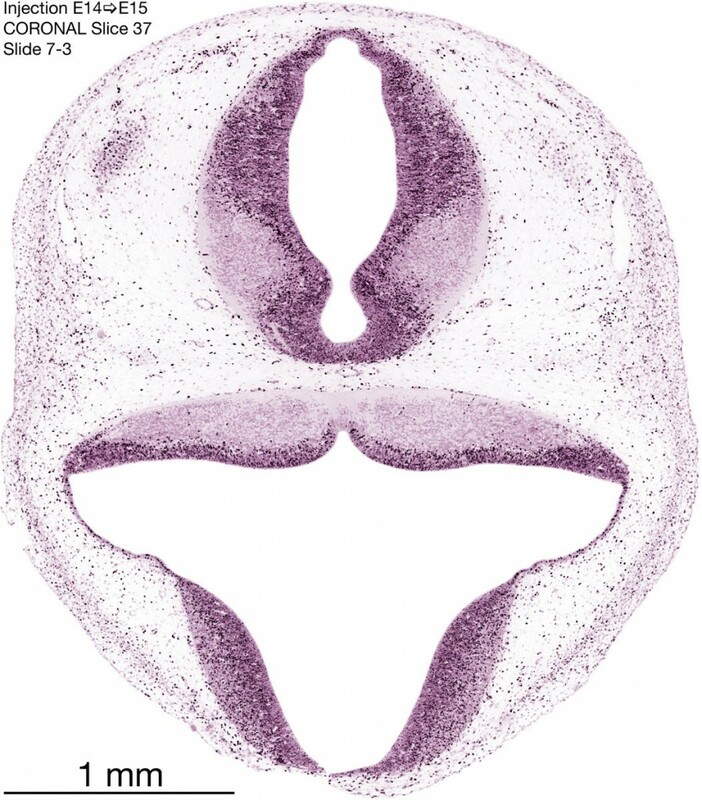 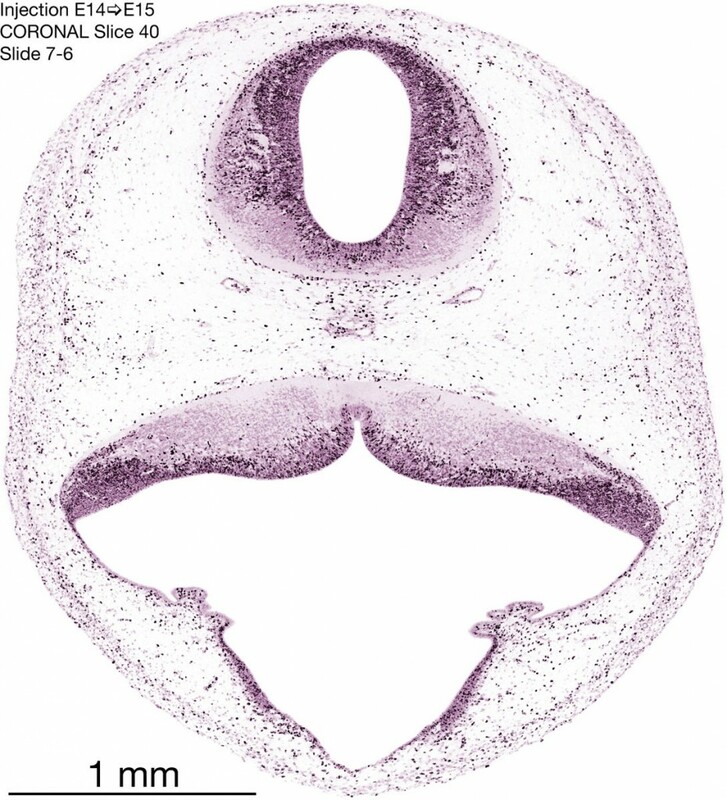 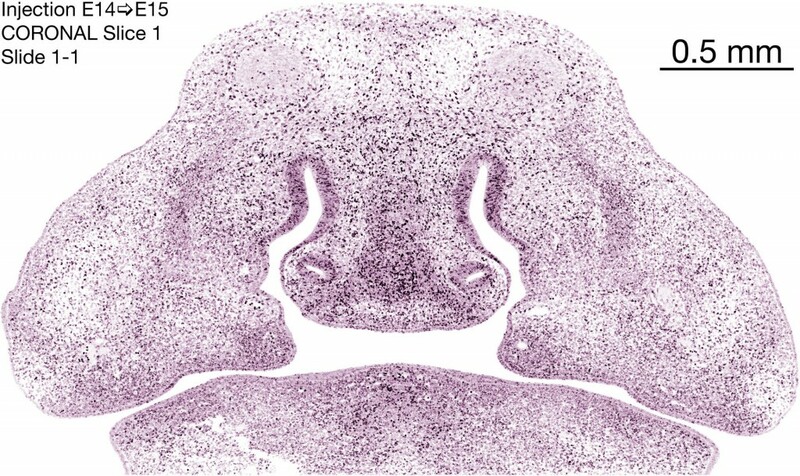 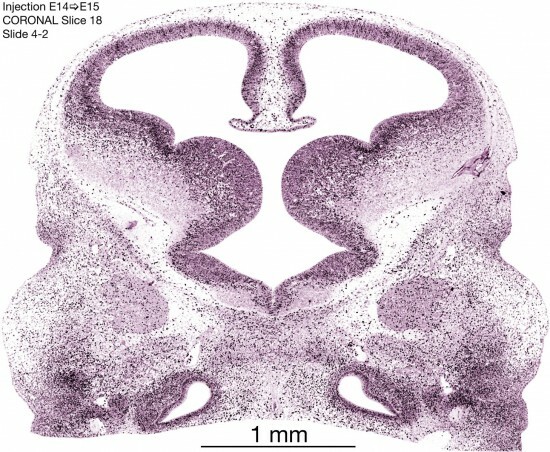 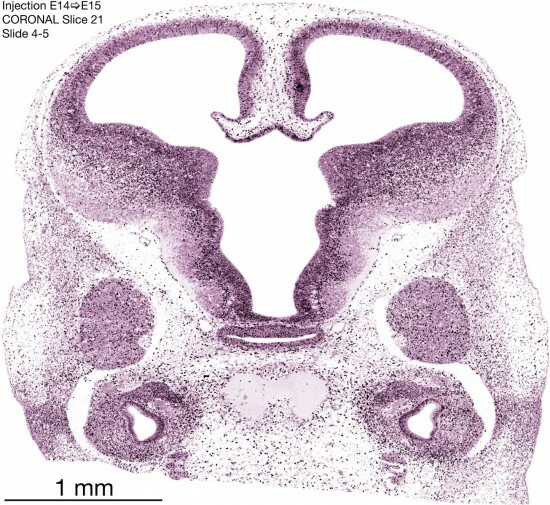 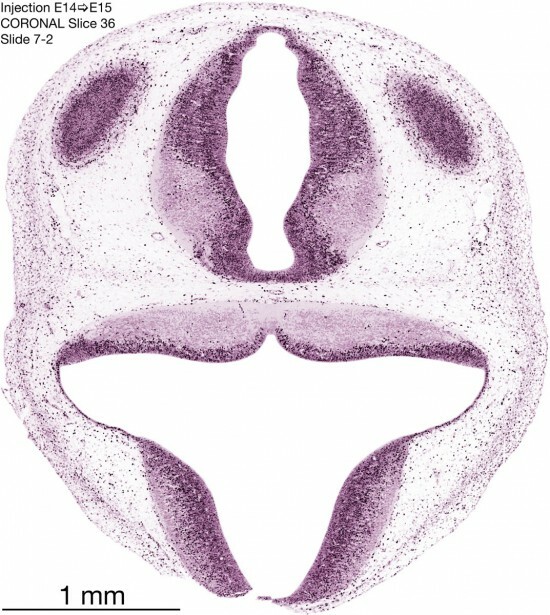 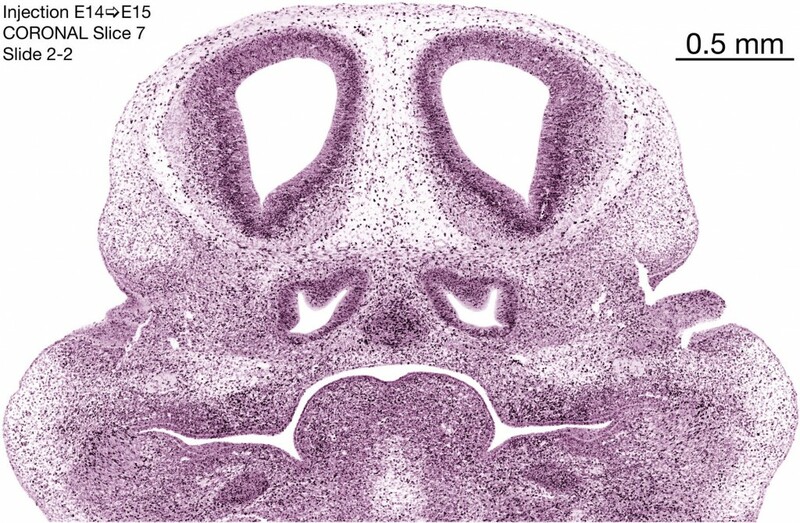 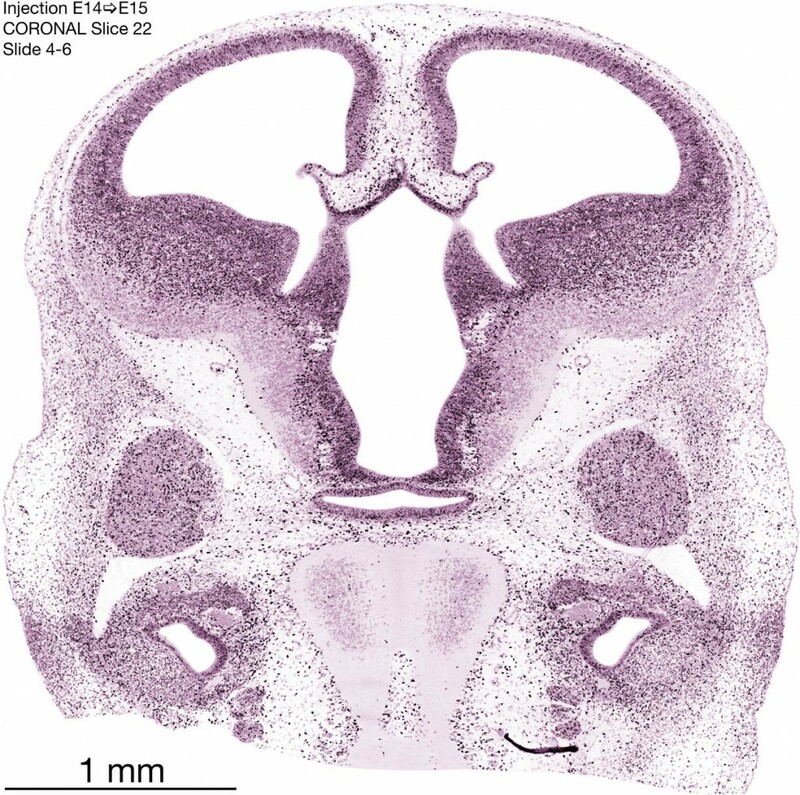 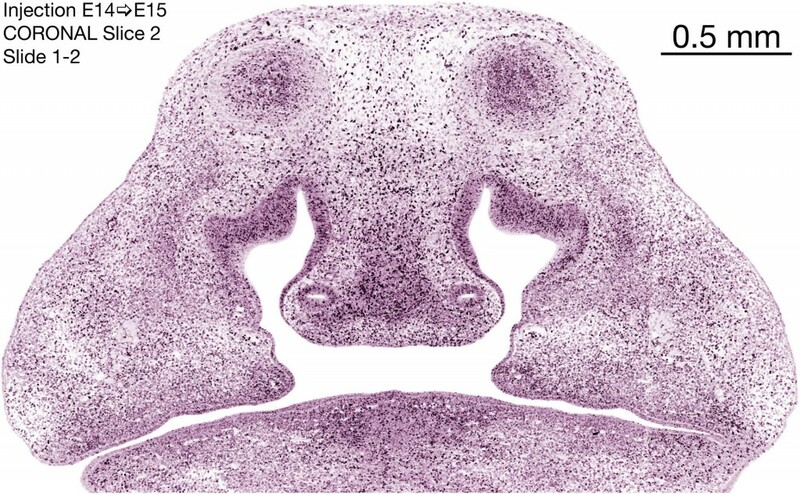 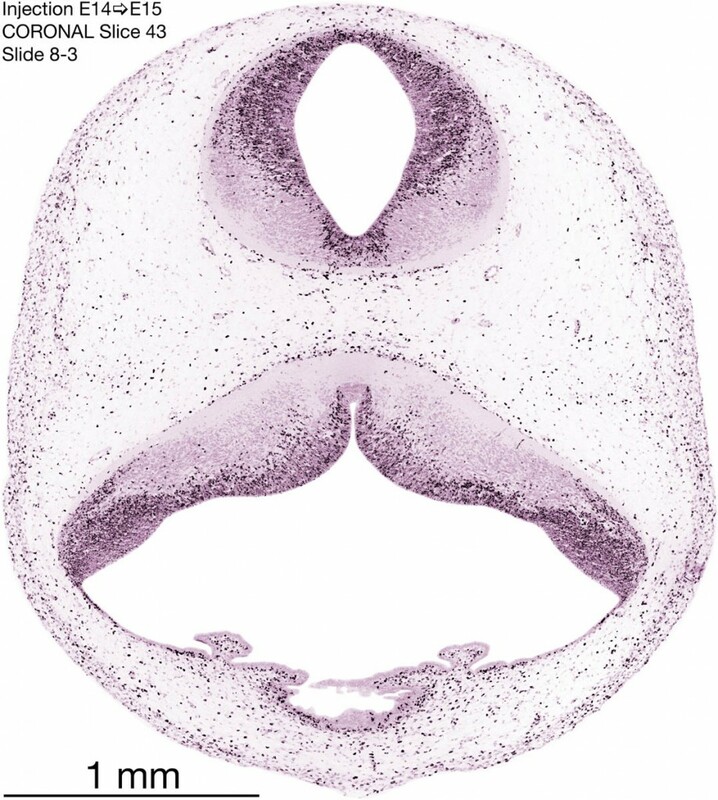 The following images are from a coronally-sectioned head of an E15 rat embryo exposed to tritiated thymidine on E14–24 hr survival. 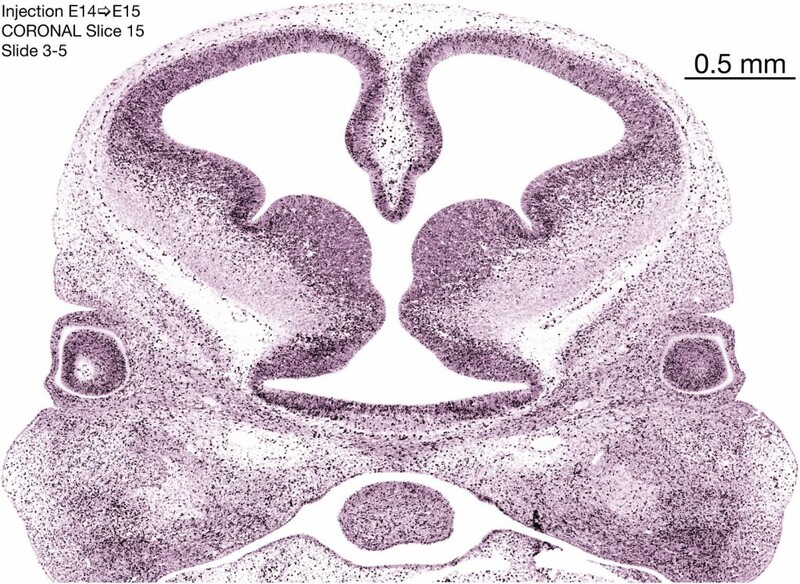 Note the heavily-labeled cells just outside the germinal zones, while the germinal zones themselves contain more lightly-labeled cells. Many of the heavily-labeled cells are migrating postmitotic young neurons generated ON E14. 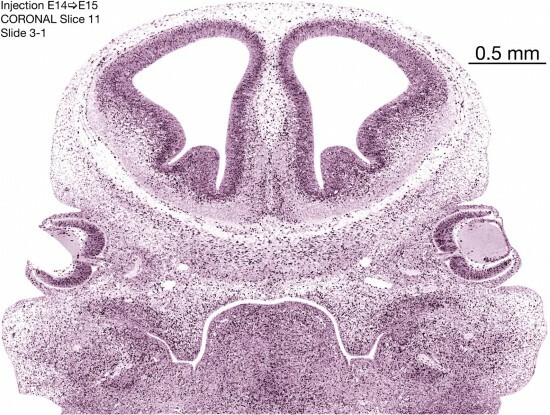 Also note that more (compared to the E14 embryo) UNLABELED cells are now outside the germinal and migratory zones. 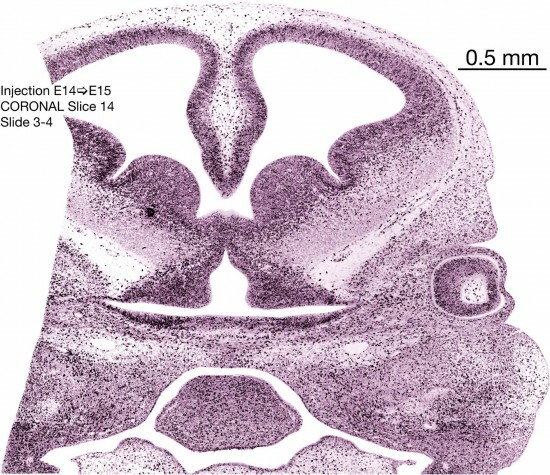 Many of the cells here are settling neurons generated BEFORE E14–some were generated on E13, and even more have accumulated on E14. 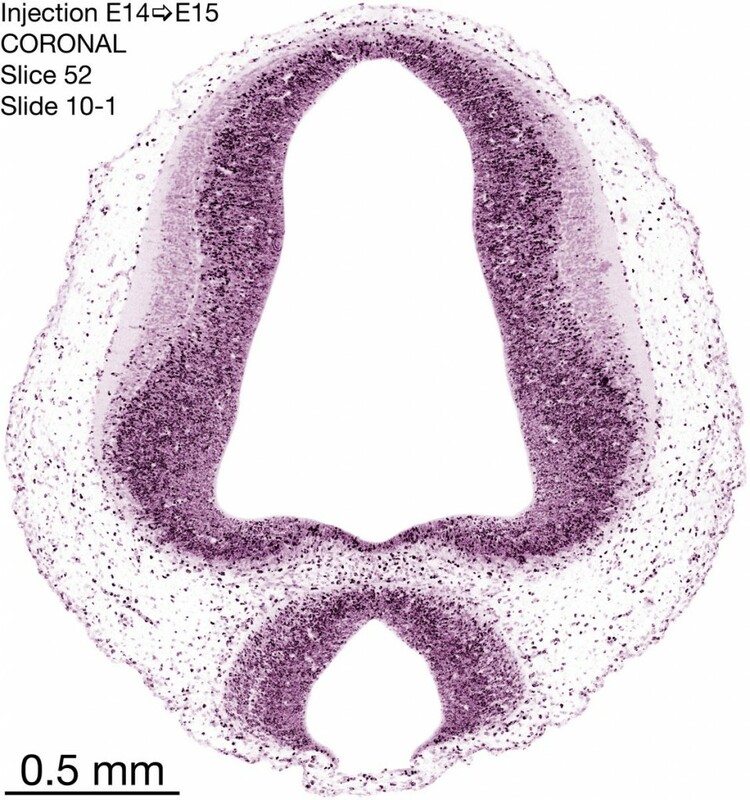 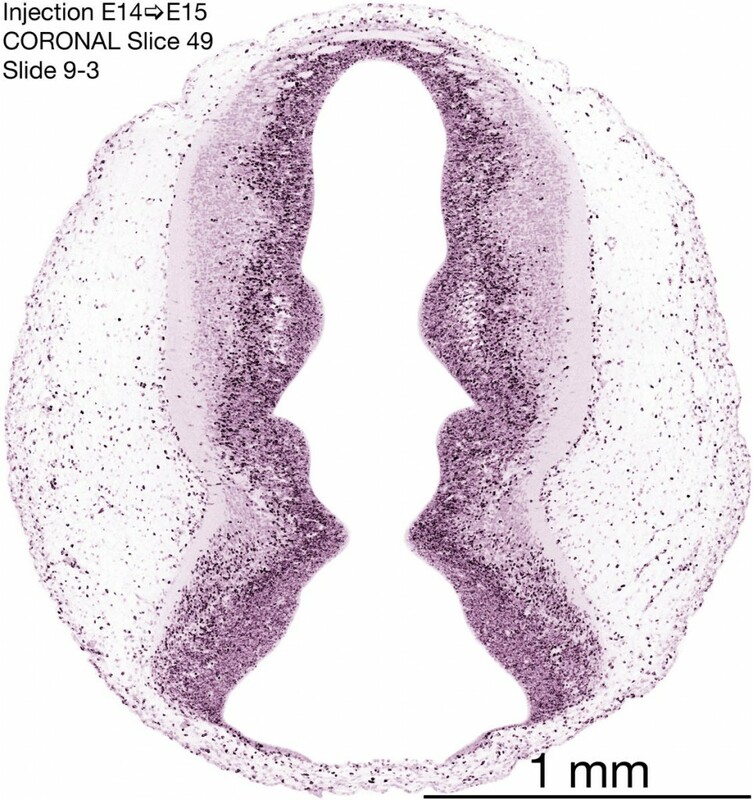 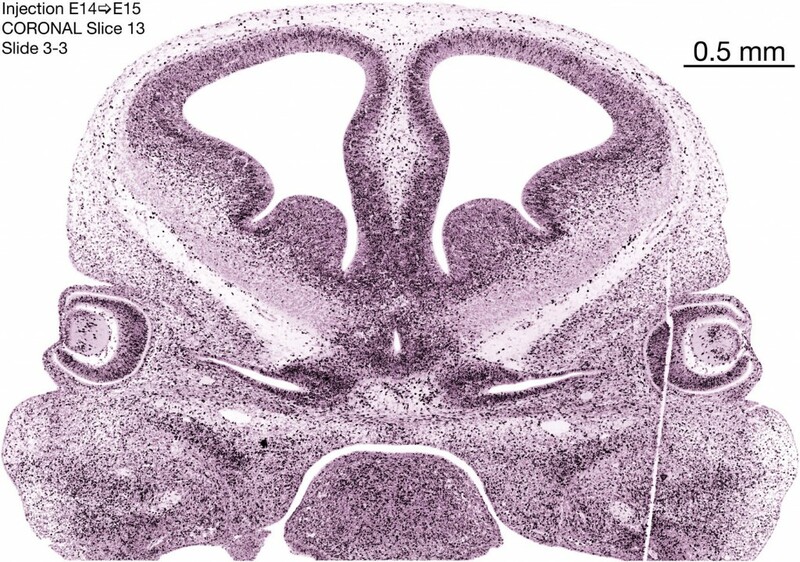 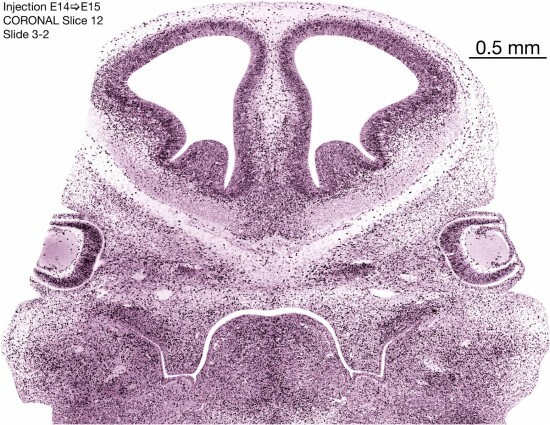 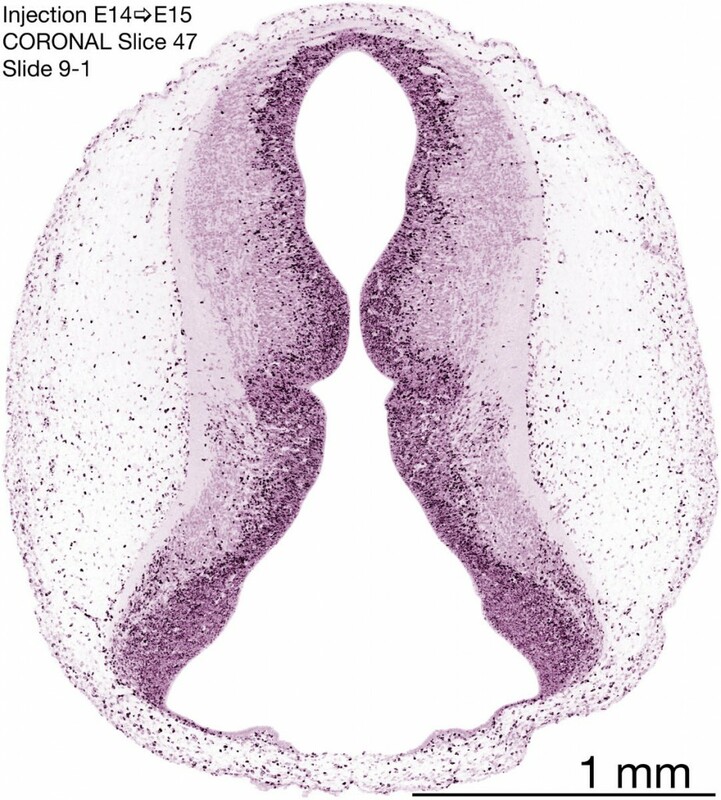 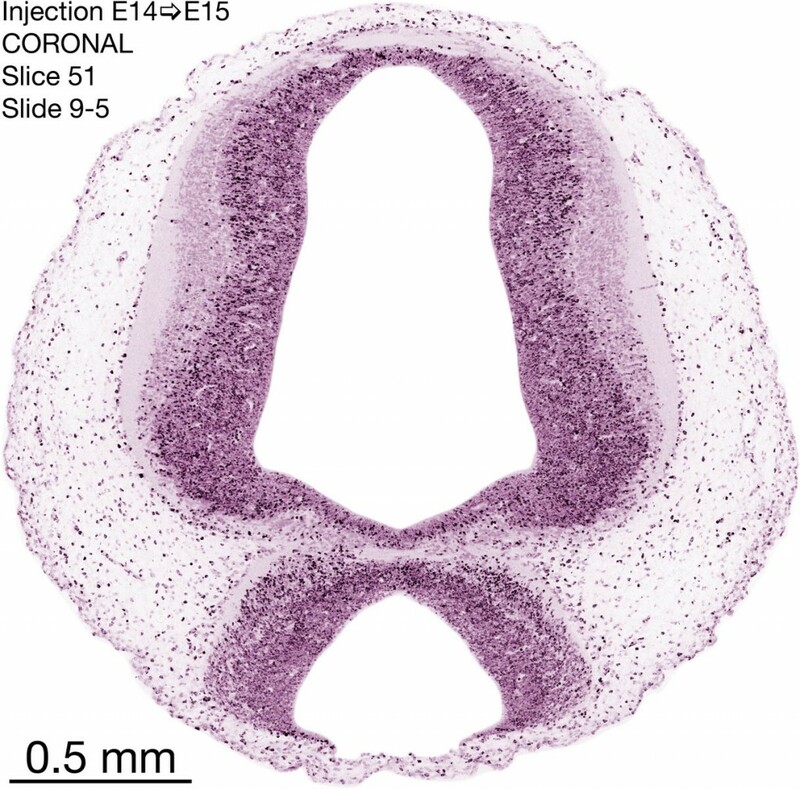 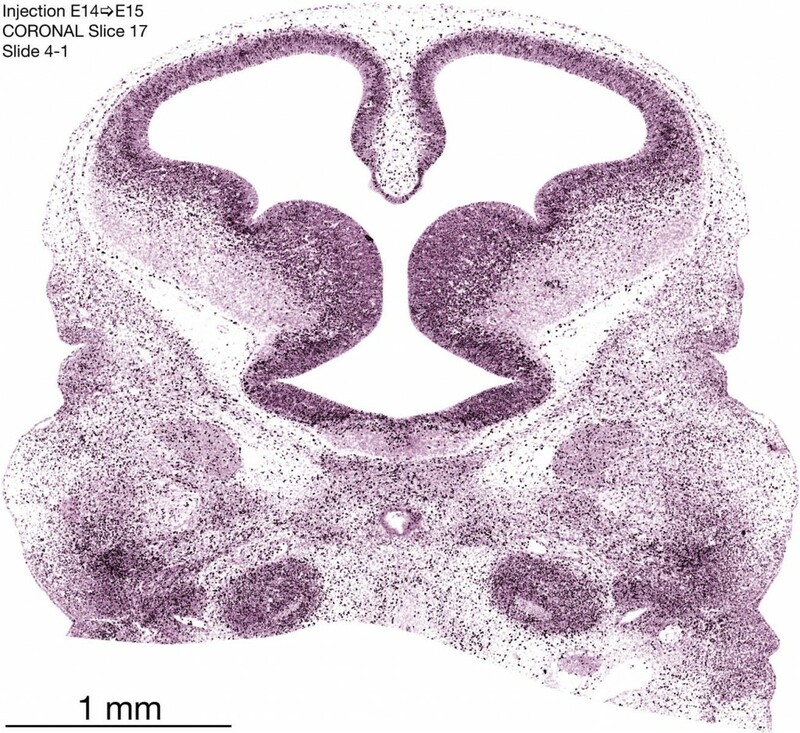 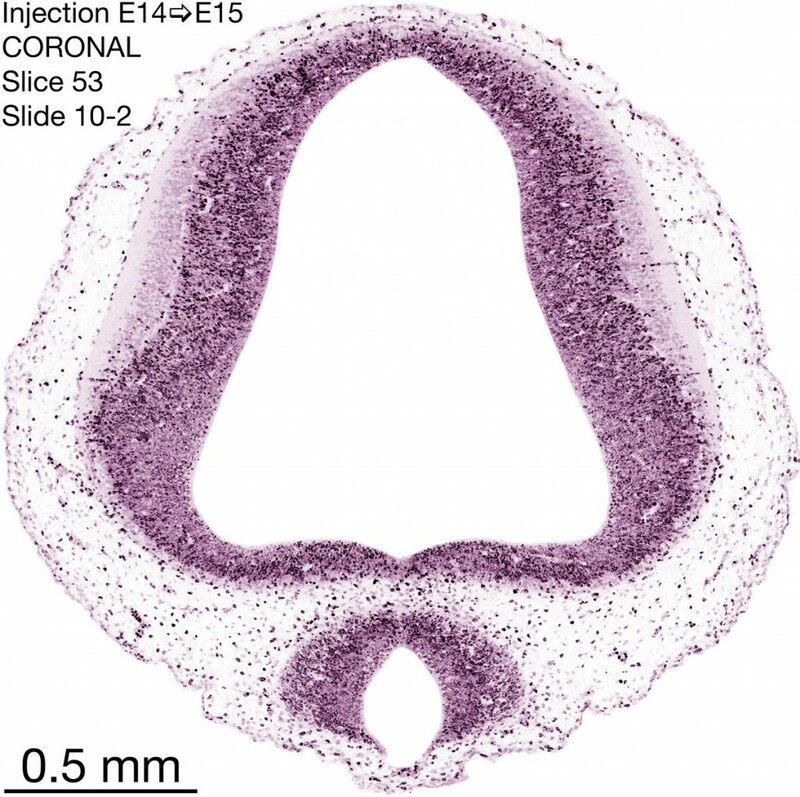 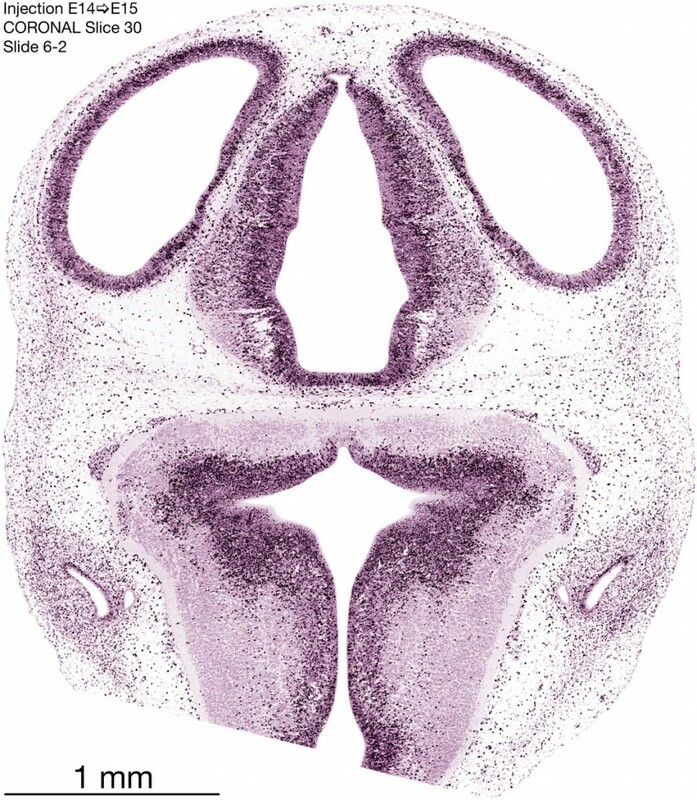 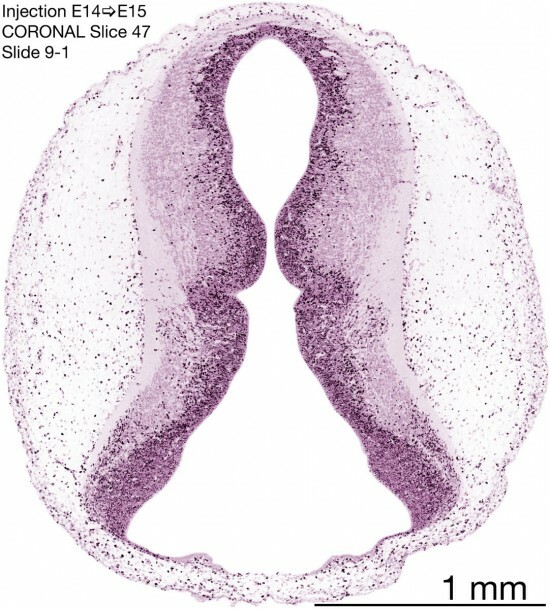 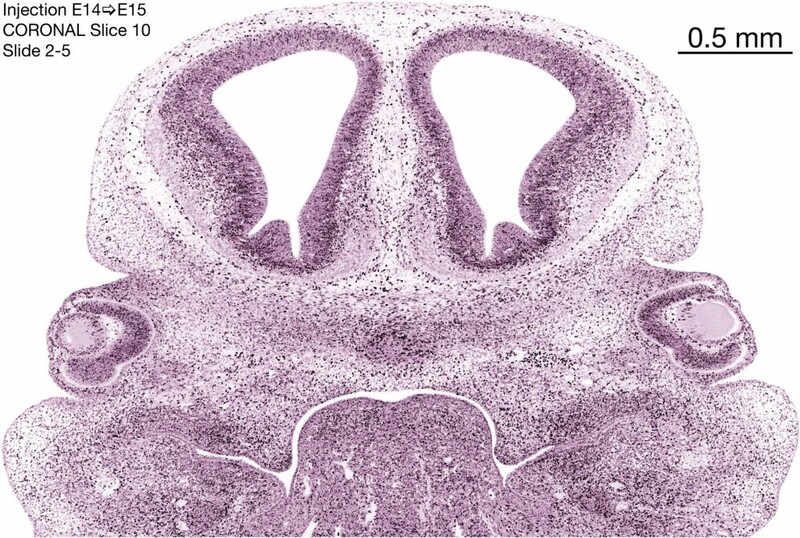 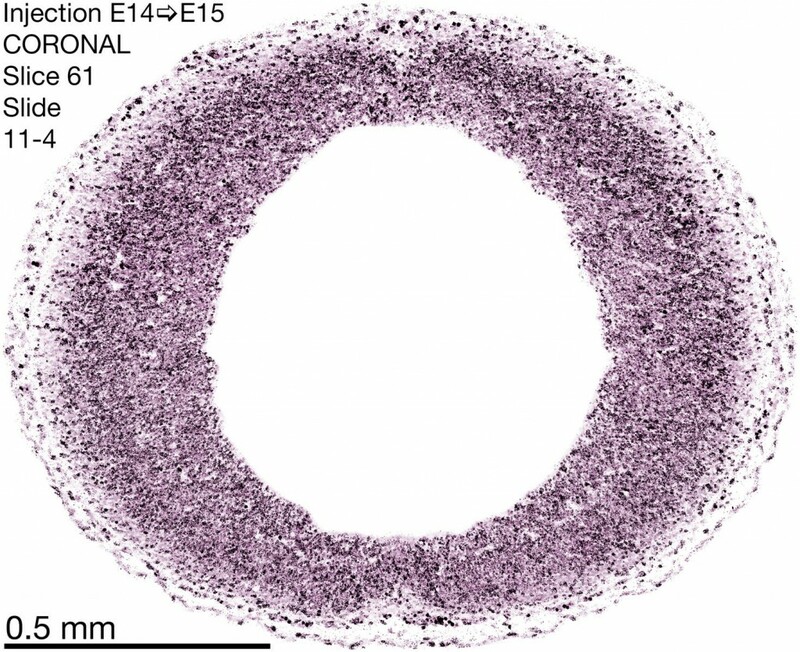 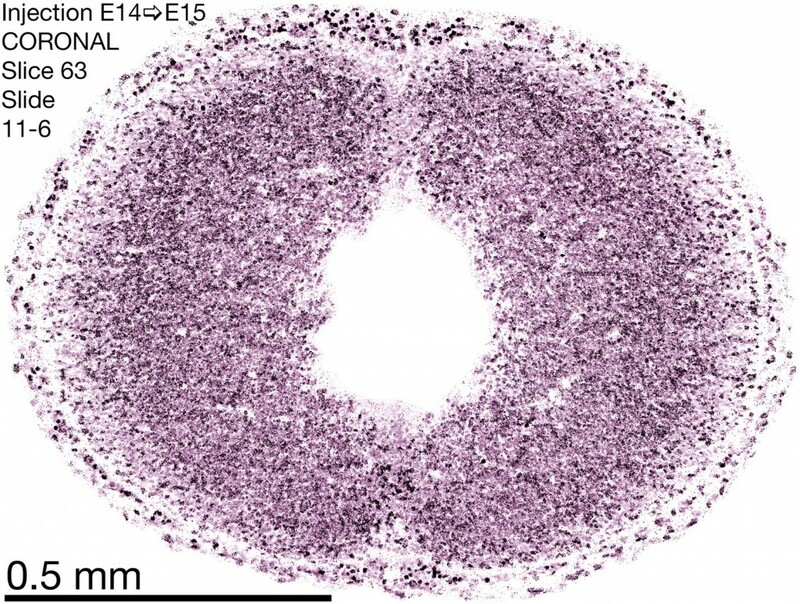 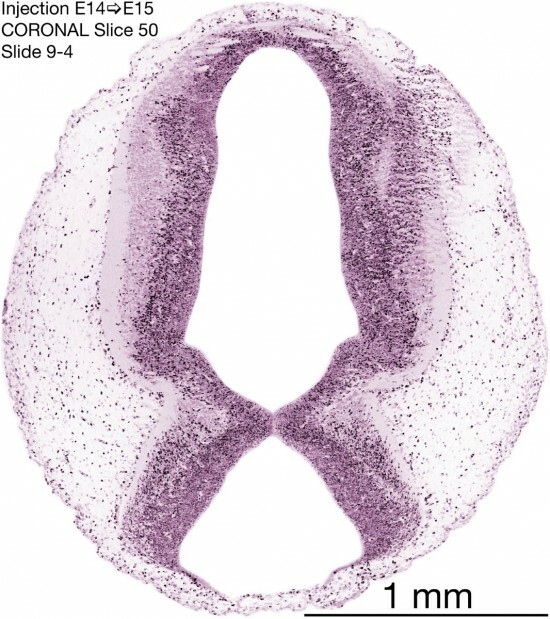 By E15, nearly every structure in the brain has young neurons settling in the parenchyma.